Purity Flexpack Ltd has cornered a major share of global market by engineering high grade pharmaceutical packaging materials, which are manufactured with precision from quality checked raw material. We are committed to achieve excellence in our products by adopting advanced technology and innovation and thereby serve all purpose of packaging e.g. 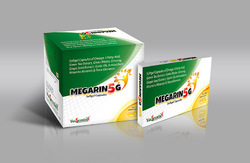 physical protection, barrier protection, information transmission, marketing and convenience. Our range comprises of pharma packaging materials, pharma blister packaging, tablet packaging material, capsule packaging material, pills packaging, capsule packaging foil, gel packaging and other medicine packaging materials. They are offered by us at industry leading prices. We are manufacturing, supplying & exporting a wide range of Packaging Material For Pharmaceutical & Healthcare. Our Packaging Material For Pharmaceutical & Healthcare are available in various sizes and specifications. Long time preservation of medicinal properties is must for a variety of pharmaceutical drugs, which can be provided by using best quality pharmaceutical packaging materials, which could keep them safe from water or moisture for long time period. Safe Pharmaceutical Packaging offered by Purity Flex are in compliance with set international parameters. Perfect barrier for moisture, vapors & gases, these opaque pharmaceutical packaging products are properly sealed to keep the medicines in a temperature controlled environment. Safe and hygienic, these packaging materials do not react with the medicines and are used for packing powders, liquids, pills, tablets, capsules, creams, gels etc. Looking for Pharmaceutical Packaging Material ?